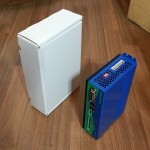 This is the box artwork competition for Argon servo drive. 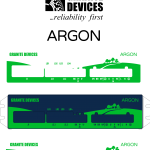 The goal is to design a printable artwork for the product package of Argon servo drive. We accept all submissions from hand sketched ideas to print-ready graphics. All submissions are treated equal (see details in Prize). Logos and other optional material that may be useful. Click to get high quality SVG file. Template to help with alignments. Click for SVG file. 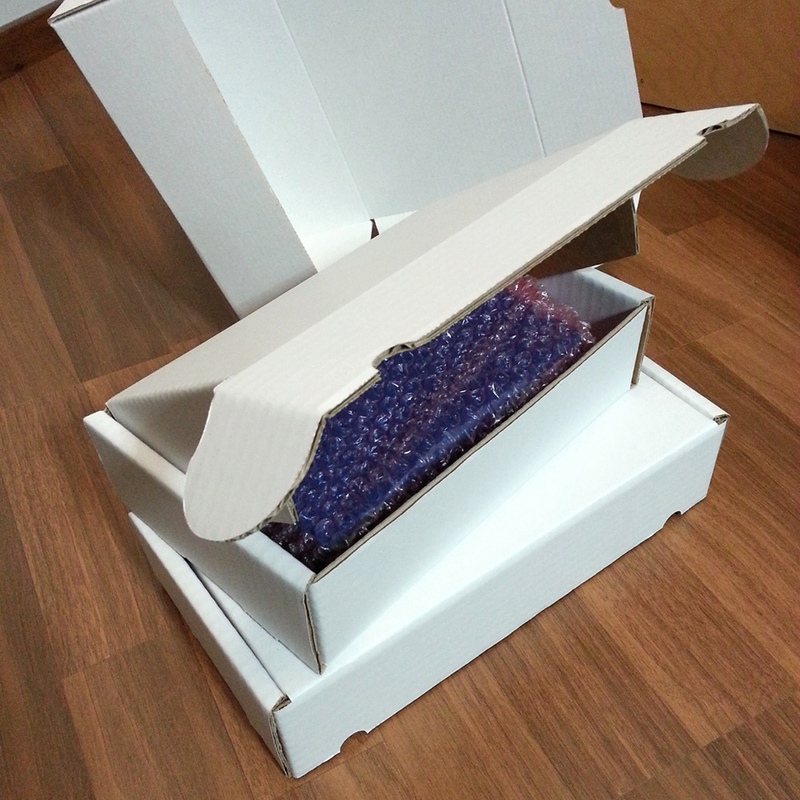 Box dimensions 241 x 144 x 61 mm and top lid area is 220 x 144 mm. Single color (can be black or some other color). Gray scales are supported. In other words, get one drive for free or 3 drives for price of 1. The prize will be granted for the person who submitted the work that gets printed to the box directly or after our modifications (including sketch implementation). If it should happen that none is selected, or even ideas present in the submission are used, the prize will be granted to the overall best submission voted by Granite Devices staff. The fine print: if we find it necessary, we reserve right to adjust & update the competition rules. If this should happen, there will be list of changes made. From the beginning of Argon release we plan to use a fulfillment service (a third party company with item warehousing and shipping service) to ship our products around the world. This enables faster delivery times as well as reduced shipping costs. To achieve this, items must be well packed before entering the warehouse as the service doesn’t know the specifics of how the items should be properly handled or protected inside a post parcel. 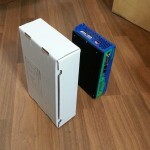 This calls a rigid box for Argon drives. 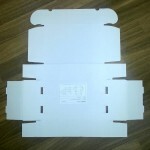 Various sizes and carton types have been prototyped and the one used below seems like a good fit. 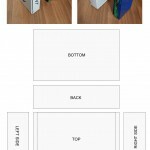 The boxes should also come with some artwork and item identifier printed. I’m thinking of throwing in a box artwork design competition. The prize would be, of course, an Argon drive or more. Leave a comment if you wish to see the competition to begin in the very next blog post! Resolver a.k.a. synchro is a position sensor born long time before encoders. They are fully passive components consisting only coils and iron which makes them very robust in harsh conditions – including hot running servo motor under vibration, dust and dirt. Despite being largely replaced by encoders, resolvers are still surprisingly popular even in new motors. Infineon, one of the largest microcontroller companies, even introduced a new MCU with integrated RDC (resolver to digital converter). Resolver should be interesting also for DIY people as eBay is full of perfectly fine servomotors equipped with resolvers for bargain prices. Argon supports resolvers with help of a small adapter board that hooks directly to the feedback device connector. Testing of this adapter however has to wait until final drives are received as pin-out of the Argon feedback port was modified to be more soldering friendly and the adapter in the photo is already designed for the new pin-out. I’m at the point where I can’t think of any improvements to the hardware, so the order of first production run to factory will happen this week! The first patch will be split to two: smaller test run and followed by full production after all changes are verified to be good. The last significant change made was to replace standard Y2 safety rated filter capacitors to every-possible-way-superior Murata surface mount Y2 capacitors. Not because design would not pass EMI compliance or there would be any problem with the standard type, but merely because I like the improvement! The self resonance frequency of typical 4.7 nF leaded capacitor occurs between 20-25 MHz while the SMT type has it around 90 MHz. This yields significantly more effective EMI noise filtering which was confirmed by oscilloscope measurements. The new cap has also much better temperature and voltage stability characteristics. All available 4.7 nF leaded type capacitors tend to have bad temperature characteristics (curves E or F in the picture below, notice -80% change of capacitance at extreme temperatures) while capacitance of the SMT type nearly stays flat over the whole temperature range. Same kind of capacitance change does not only occur with temperature but also by voltage applied to capacitor. 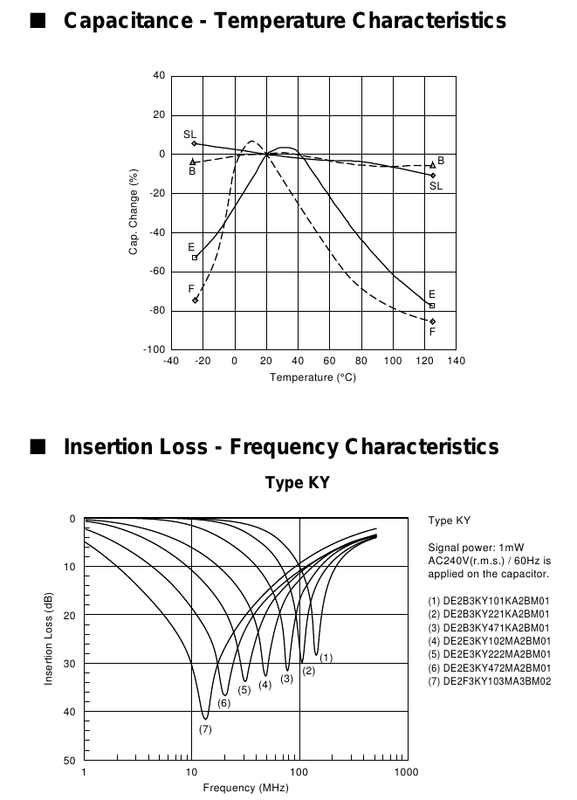 Capacitor temperature characteristics (top) and impedance vs frequency curves (bottom). The self resonance frequency is at the dip seen in bottom curves. 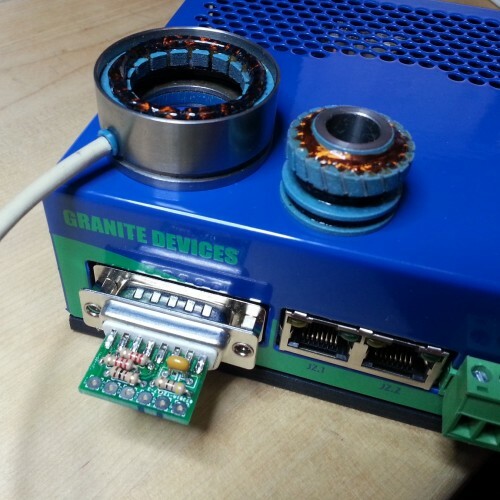 The above actually applies to all ceramic capacitors. 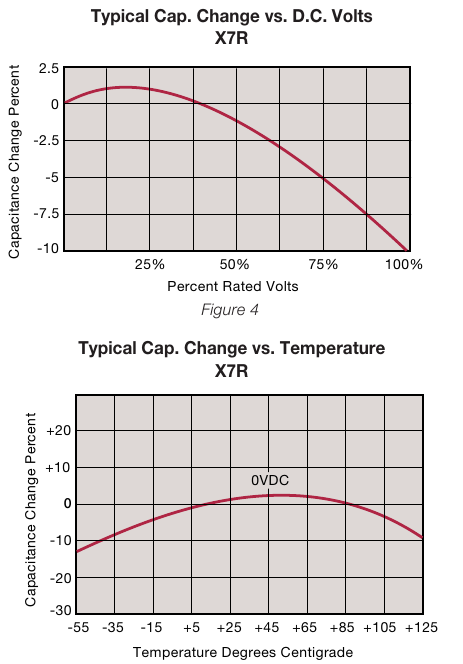 Luckily the temperature & voltage characteristics have standardized naming so staying away from poor types is easy. 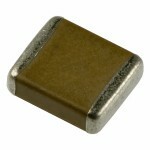 Cheap ceramic capacitors are mostly called Y5V or Z5U capacitors while good caps know names such as X7R or NP0. Argon comes only with X7R or better types. The horrors of common Y5V ceramic capacitor. Take for example a 35 volt Y5V capacitor and put 24V in it – capacitance decreases 90% from the specified value while ideally it should not change at all. X7R characteristics. 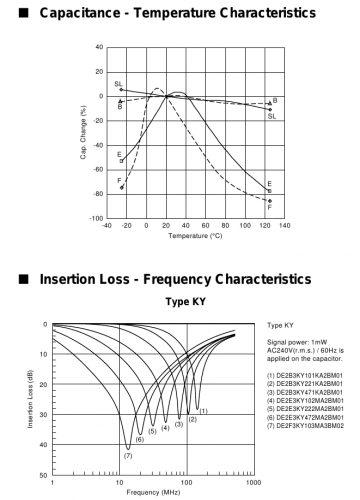 The worst case capacitance change stays within +/- 15%. 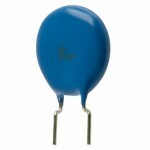 Back to the topic – the only downside of the SMT Y2 filter capacitors is the 4X cost compared to the standard type. However after all the total price difference isn’t huge as there’s only 3 pcs of them in Argon. A video showing two servo motors being controlled independently & synchronized over RS485 based field bus. A small custom C++ software is generating the trajectory points independently for each axis and feeding the points to servo drive command buffers. Drives execute commands from buffer based on their internal clock yielding gapless and smooth motion even when PC is under load. Both axis are fed 1250 position commands per second and tracking error value is read back at same rate and displayed on the PC screen. The software has a buffer monitor widget that shows how much data drive buffer currently has. Everything is fine as long as buffer doesn’t go empty which would cause a break in motion. The app has merely 200 lines of code. I’m planning to extend it to run G-code after Argon drives are out.